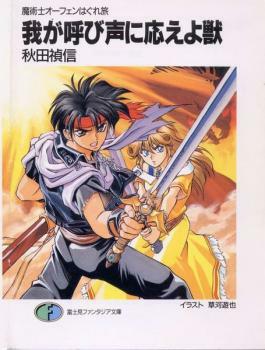 The young man Orphen engages in money lending activities in the back streets of the commercial city of Totokanta, once he was known as one of the Tower of Fang’s most promising black sorcerers. One day, Orphen was approached by Vulcan and Dortin, who had a very profitable money making scheme set up. Under the guise of wealthy merchants, they set forth towards the Everlasting household to partake in a marriage fraud. But there was one problem, Vulcan’s plan was full of holes, leading one of the sister’s had found out about their plan too. Then suddenly, a huge monster attacks the mansion. Among all the commotion one name rings out, Azalie. This monster was the what he was looking for five years, his older sister Azalie who transformed into a monster.